A lot of my friends are still enjoying summer travel right now, and I have a trip to Boston coming up this weekend. I'm so sad I didn't see the skull luggage from IT on Amazon before I had my big trip in July! This hard shell embossed skull black suit case is pretty awesome, right? This is definitely eye catching, plus it has a great security system. 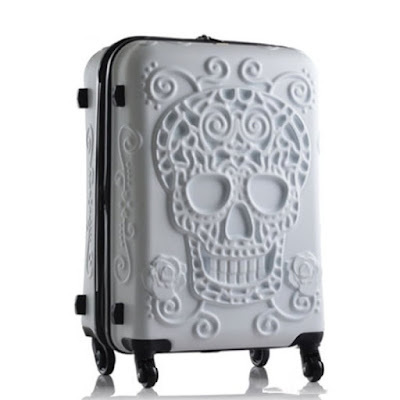 I think I like the black suitcase over this white hard shell skull luggage. Though, if you desire, you could paint it to make it look like traditional Day of the Dead sugar skulls. 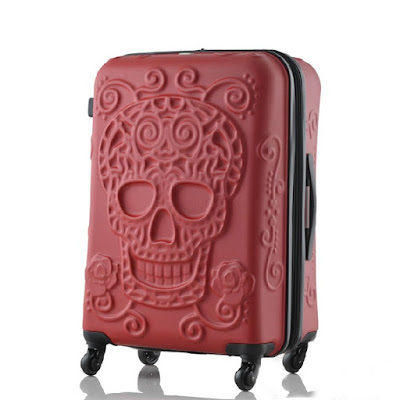 For some reason this red hard shell embossed skull luggage looks more elegant than the other two. Maybe because it enhances the roses? 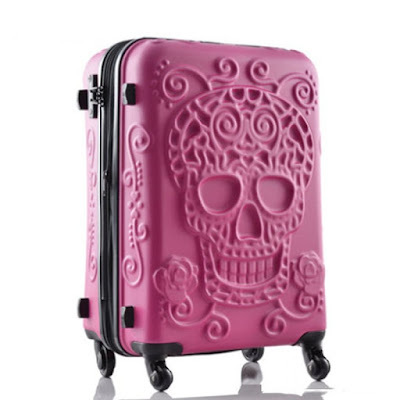 I feel like this pink embossed skull luggage needs to be a brighter pink. It's not bold enough to resemble anything spooky! 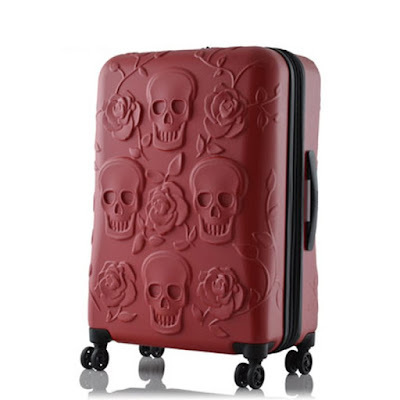 This is a little different design, and I think I like this red skull hard shell trolley suitcase better. 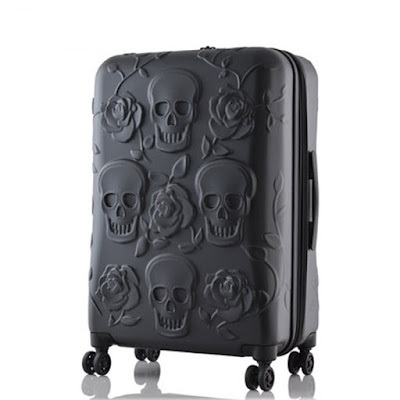 This black skull hard shell trolley suitcase is my favorite. The black color and multiple skulls and roses give it a more macabre feel. Would you get one of these pieces of skull luggage from IT on Amazon for your next adventure into the world? They are pretty cool! Not super scary, but still show a lot about your sinister and ominous character. Comment below!